Episode 3-Brother Chris Joins the Show! On this week’s show, Greg’s brother Chris fills in as we discuss the fallout from Night of Champions! Later in the program, Mastro shares his master plan on how the WWE can improve it’s show quality. It’s one you don’t want to miss!! Gregg gives his thoughts and predictions on this Sunday’s big event! 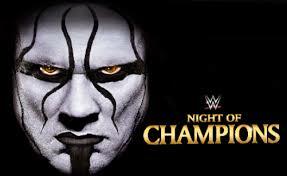 Listen to find out who he thinks will walk out holding the gold at Night of Champions!